Though EventSphere maintained an online presence, it did not promote the company’s considerable experience in the industry; nor did it adequately feature the company’s offerings. The website was also dated technically and visually and was not being used at all as a central part to their marketing communications. 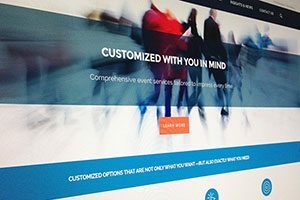 We recognized the lack of visual and messaging clarity in EventSphere’s communications overall, as well as the importance of driving client interaction through the company’s website.